During the holiday season, we will be hosting several parties for family & friends. Occasionally, we will have people stay over our house for a night or two. I always look forward to these occasions because it’s a great way to spend more quality time with the people I love. Today, I’ll be sharing some tips on how to create a welcoming guest bedroom, because after all, I want my guests to feel comfortable in my home. I even made a gift basket for my guests using supplies I picked up from Big Lots and I can’t wait to share all the details with you. Whenever I need something for my home, Big Lots is usually my first destination. From small home decor pieces to gorgeous pieces of furniture, Big Lots always has a wide variety of high quality products. 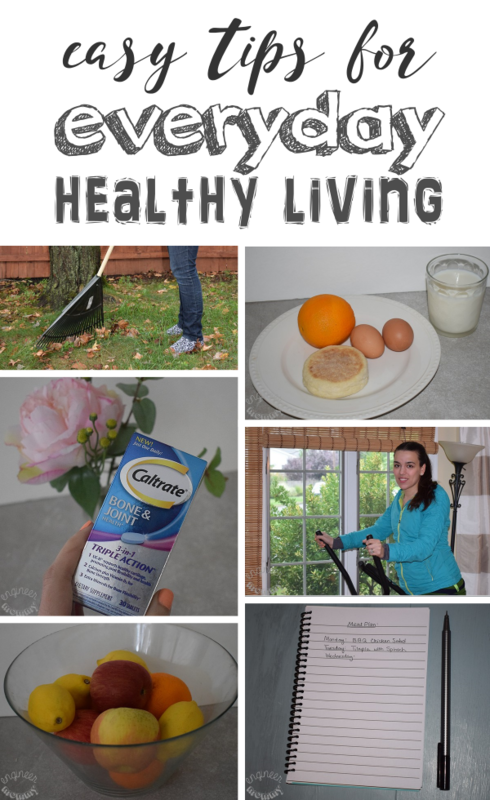 I recently made a trip to Big Lots to pick up all the essentials for creating a welcoming guest bedroom. With company heading over in just a few weeks, I knew I needed to start shopping! Big Lots is my favorite one-stop-shop that lets me easily prepare for the last few months of the year! 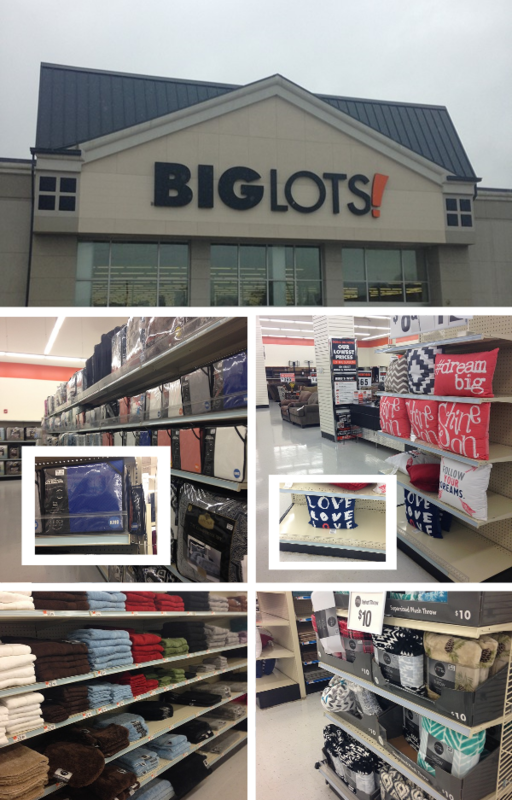 I always enjoy my time at Big Lots- the store is clean and organized! The shelves are always well-stocked and employees are super friendly. 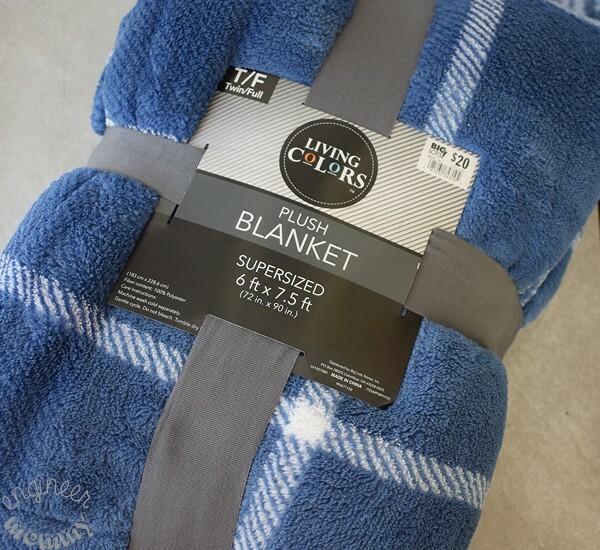 One of the first things I picked up for my gift basket was this luxurious throw! 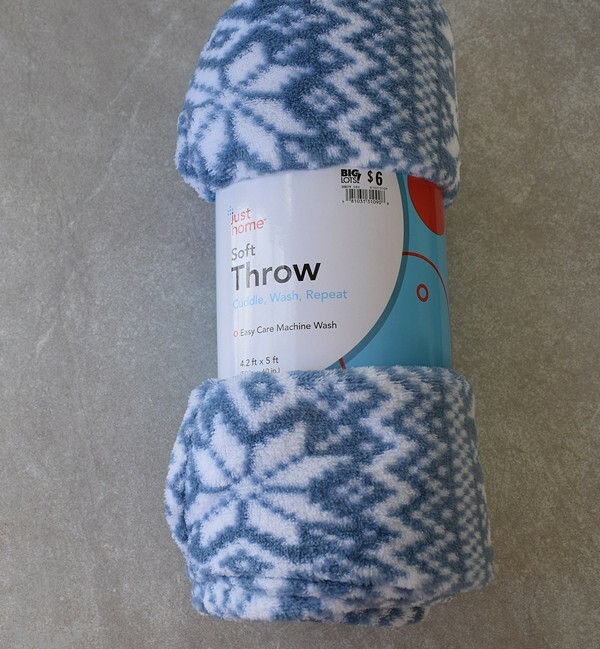 I love the beautiful blue pattern on it and the fact that it’s super soft! 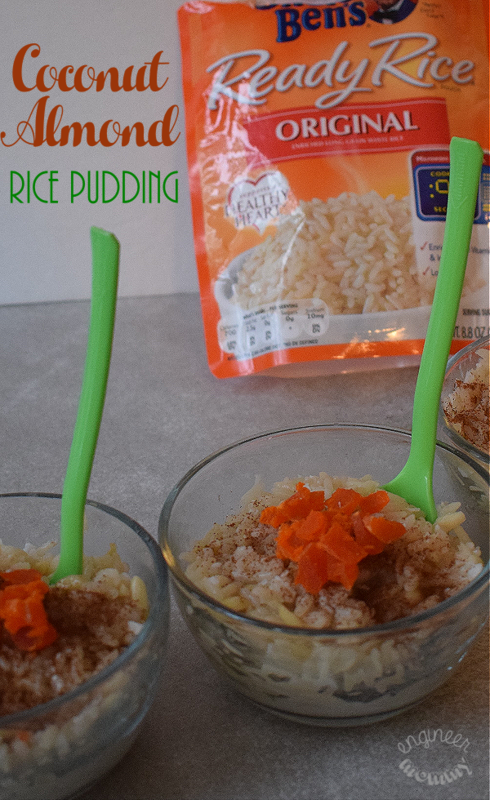 It was offered at a great value and I know this will come in handy for guests! Speaking of bedding, I also picked up this supersized plush blanket for the bed. It’s a fabulously large size and perfect for making my guests feel comfortable and warm during the colder fall months! 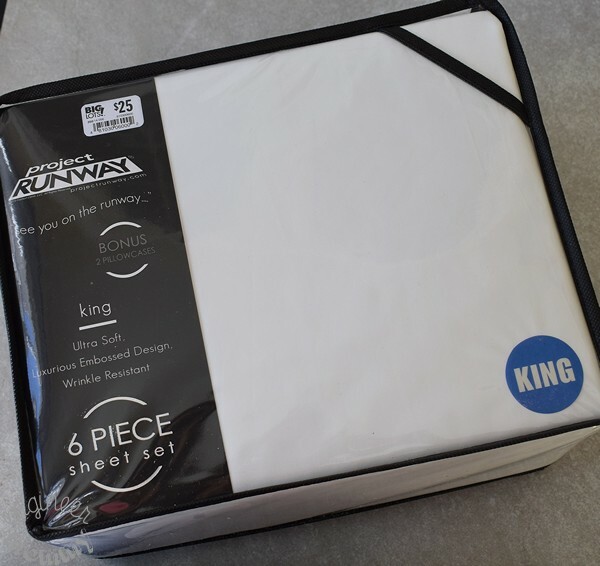 While walking through the bedding aisles, I found this fabulous 6 piece sheet set in a King size. It’s ultra soft and wrinkle-resistant, so that will definitely save me time in the long run. I also love that it comes with a bonus set of 2 extra pillowcases! What bed looks complete without a decorative throw pillow (or two or three)? 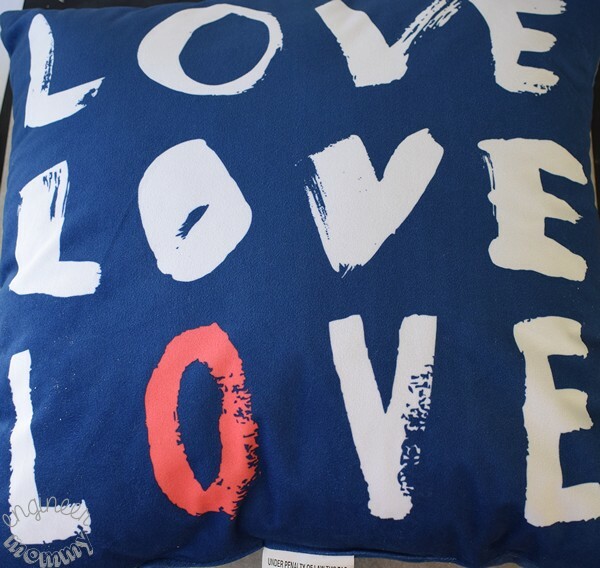 I absolutely love pillows in my house – and may have a pillow obsession! I found this fun decorative pillow at Big Lots and I know it will complement the color scheme of the guest bedroom! Isn’t it super fun?! I also picked up a few extra bath towels, so my guests feel comfortable while they are here. 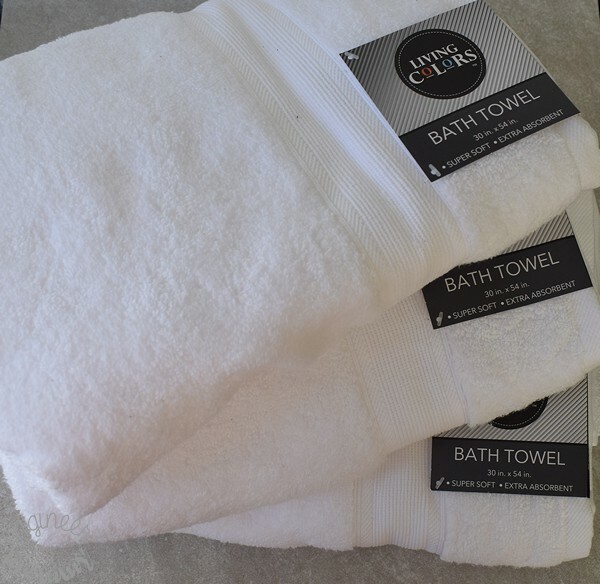 These soft, absorbent bath towels really add a luxurious touch to bath time. Whenever I’m traveling, I find that I am usually hungry & thirsty by the time I get to my destination. 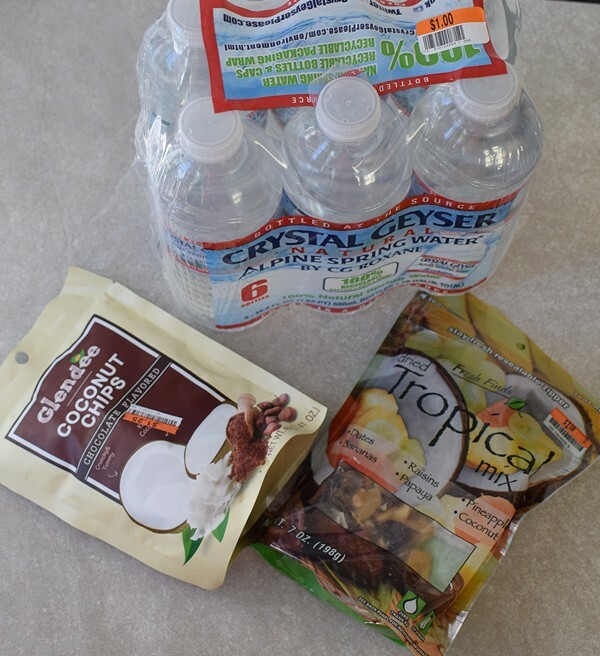 So while at Big Lots, I picked up some water bottles and various snacks for my guests. I always find the coolest, most unique snack products at Big Lots. As a matter of fact, finding a fun, exotic snack is always on my to-do list whenever I’m at a Big Lots store. Another thing I wanted to add to my gift basket was a little “Welcome” note that provided my Wi-Fi network name and password. People need to get online, am I right? By sharing my network name and password upfront on a piece of paper (just like they do at hotels), my guests know that I am thinking of their needs! If you’d like to download a printable version of this card for your guests, click here. 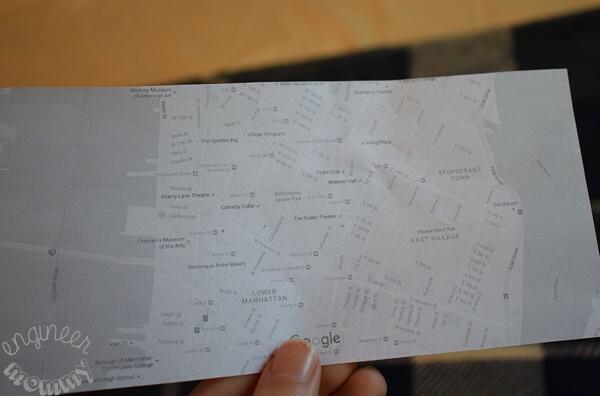 Finally, I printed out a little street map of my neighborhood so guests will know how to find their way around. It only took a few minutes to print this out, but it’s another special gesture that my guests will surely appreciate. So now, it’s time to put everything together! 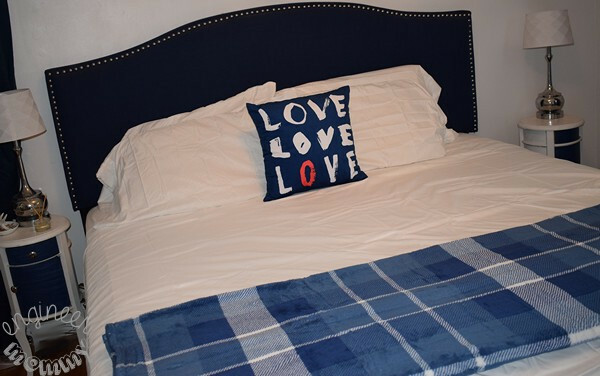 I made the bed with the white sheets, draped the plush blanket at the foot of the bed and added the decorative pillow! Looking comfy, right? Next, I added everything else (throw, towels, snacks, welcome note, map, etc.) into a big gift basket. I’m sure this basket will make my guests feel welcome! I placed the basket on the bed! I think this room is all set for visitors! Now, check out why Big Lots needs to be your go-to store for all your home decor needs this fall and tell me: Are you planning on hosting any company this holiday season? How do you make your guests feel welcome? Do you have any tips on creating a welcoming guest bedroom? This is such a great idea! My daughter and I went to a friends house in CA several years ago and she did something similar. I currently don’t have a guest room, but, just adore this idea. Thanks for sharing! I love all of your ideas! In a few years, I may have a couple of guest rooms, when the kids move out. I love the throws Big Lots has, but unfortunately they moved from our city! I’m not sure where the closest one is now. These are really great ideas for a guest bedroom and Big Lots is a great place to shop for these items. I hope one day we have a place big enough for a guest room because I would love to do this. If someone stays at our house we have an air mattress set up in the living room. 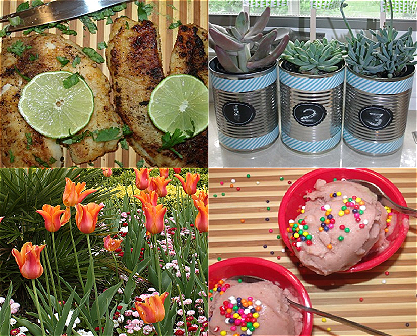 These are such fantastic ideas! It would make any guests feel so at home to walk in and find that basket! Great tips for preparing a guest bedroom that will make guests feel right at home! I love the idea of putting together a basket. What a cute way to welcome people to a guest room. I love it a lot! 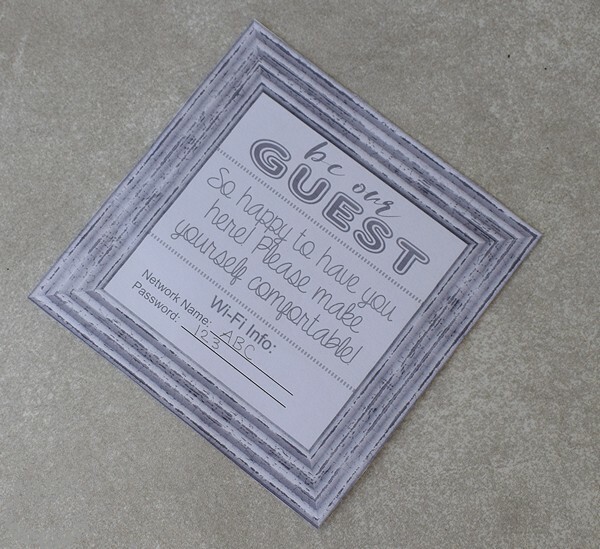 This is a great way to show your guest they are welcomed. Plus is that I love to shop at Big Lots. That looks like a cozy and comfortable guest room! You did an awesome job 😀 Your tips will come in handy when I have my own place one day soon. I’ve stayed in a few guest bedrooms and it would have been great to receive a basket like that, although they did show hospitality in other ways. I wish we had a big enough house to have a guest bedroom. 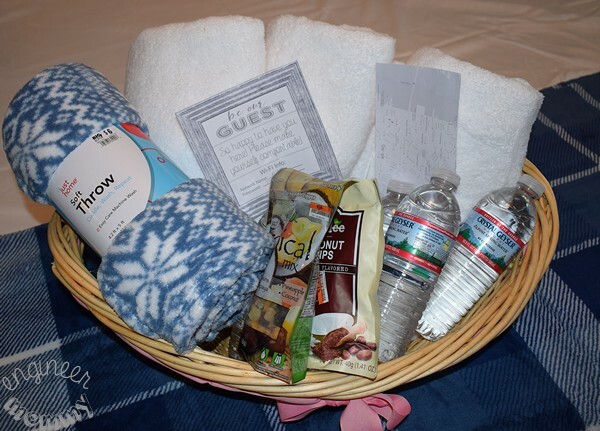 This is such a lovely guest basket! I love the idea of having all these goodies ready for your guests when they arrive! Thank you for sharing this idea, I will have to hit up Big Lots ASAP! I love the welcome basket for guests! I do the same thing in my bathroom! You never know when someone will need a toothbrush or some lotion. We love to shop at Big Lots ourselves. They have some great deals and what they have is pretty good quality overall. We even bought our living room furniture there! I LOVE Big Lots and buy a TON of home decor from there! Just last week I bought new sheets and candles, you did a great job and the room looks very welcoming! This just goes to show how good you are as a hostess. 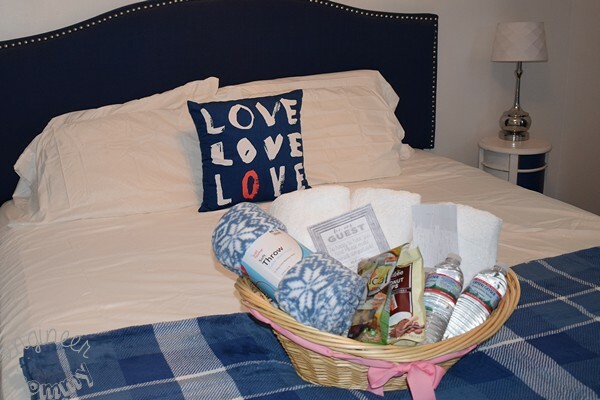 I love the welcome basket and the blanket really looks like it will keep your guests warm! 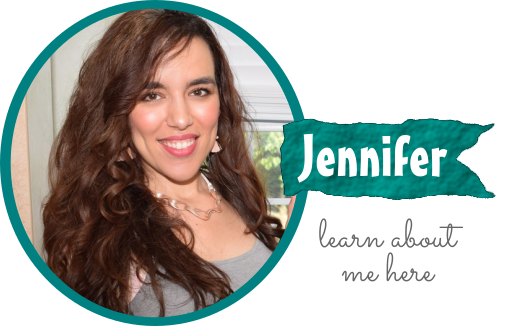 I will copy your idea and get the spare room ready for guests who might want to sleep over. I love the bedding set! Waht a cute bedroom! I love shopping at Big Lots for a lot of my home decorating needs. It really is a hidden gem. That pillow is just adorable! Love that basket idea too!! !